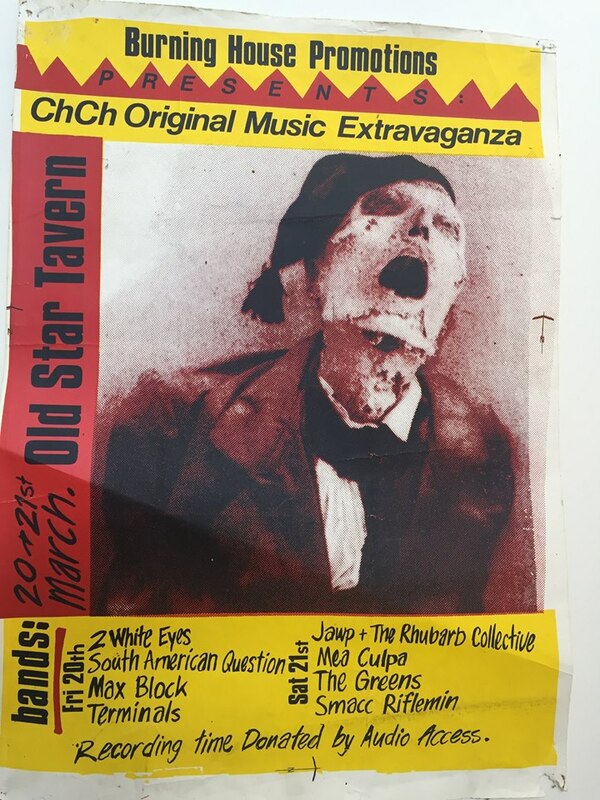 Old Star Tavern Christchurch. Smacc Riflemin + Jawp and Rhubarb Collective + 2 White Eyes + South American Question + Mea Culpa + The Greens. Outstanding work by Gregory Hussey. Cheers to Rob Mayes.